Here at International Bath and Tile, we are always searching for the latest industry products and trends. Every year we look forward to attending the Kitchen & Bath Industry Show (KBIS) to view the hottest kitchen and bath displays. We always look forward to seeing what Brizo has to offer! As a leading brand in the industry, Brizo’s new Litze Bath Collection is one of the most luxurious bath collections in the plumbing world. We love how each piece has a purpose, which opens the doors to a multifaceted look. We can’t keep our eyes off the Freestanding Floor Mount Tub Filler. Its artistic innovation makes it the perfect piece for both modern classic and urban industrial spaces. This kitchen collection blew us away! Since it is inspired by the revival of the arts and crafts movement, each piece in the collection is the perfect balance of both contemporary and crafted designs. 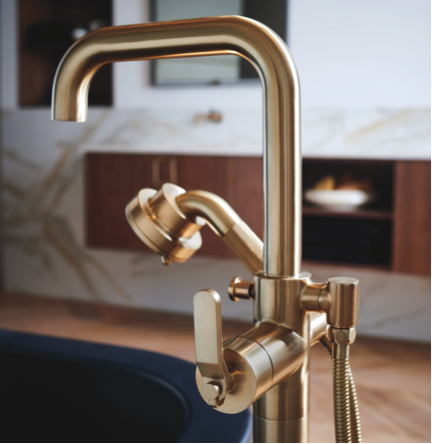 We couldn’t help but admire its stunning details and versatile options, including three spout architectures and two handles to choose from, as well as five finish options. One of our favorite finishes is Brilliance® Luxe GoldTM. It made its debut at KBIS last year in the Litze Bath Collection and continues to be a popular trend! We can’t wait to order new pieces from this versatile collection for the kitchen. Another collection that we admired is the Vettis Bath Collection by Brizo. Inspired by the strength of nature, each piece is geometric, strong, and sensory. 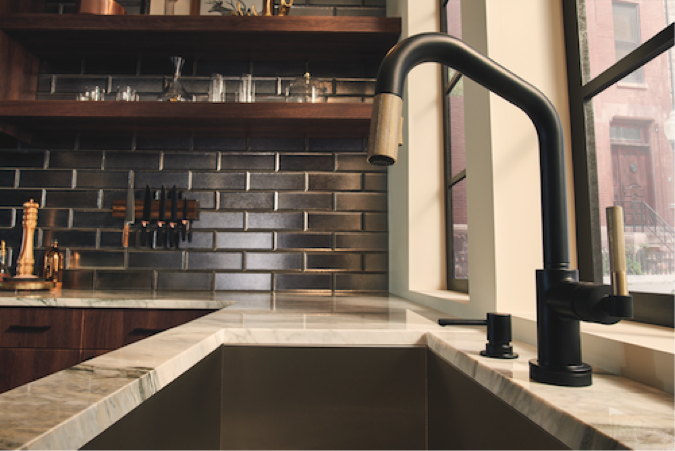 We can imagine its angular faucets and square showerheads in a contemporary or modern home. Besides its design, this collection is ahead of the game with innovation and technology. The open-flow spout features an even water flow that flows from all four sides of the open chamber and H2Okinetic Technology brings a multi-sensory experience to the shower. 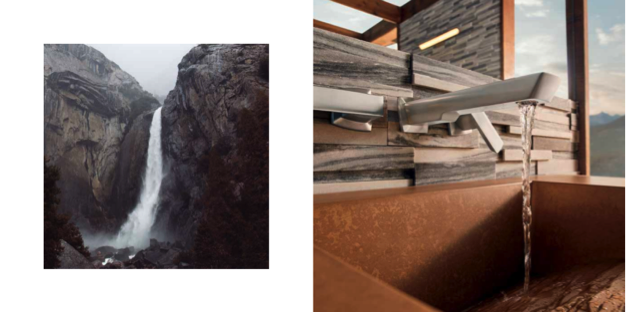 Imagine coming home from work and washing your hands in a waterfall-like faucet! We can’t wait to get these new Brizo collections in our showroom. Even though they won’t be available until fourth quarter of this year, we invite you to come visit the showroom to view more Brizo collections. Our experts are happy to give you a full tour! Give us a call at (858) 346-7455 to schedule an appointment. We look forward to seeing you soon.